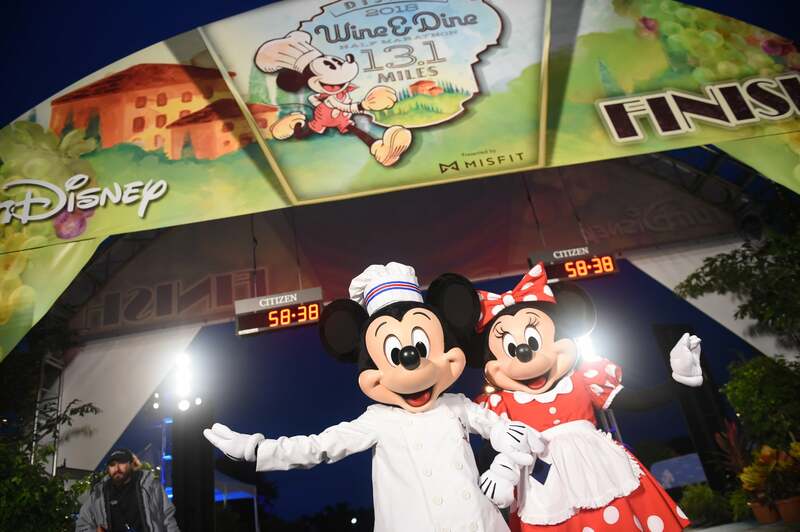 Get your stomachs and your sneakers ready, folks, because the 10th annual Walt Disney World runDisney Wine & Dine Race is upon us. Registration just opened, and it’s already close to selling out, so now is the time to grab a bib and start training. For those of you who have been wanting to try a runDisney race (for the fun costumes and special treats, obviously), there might be nothing better than this food-themed race. Again, just so we’re clear, the theme here is food. 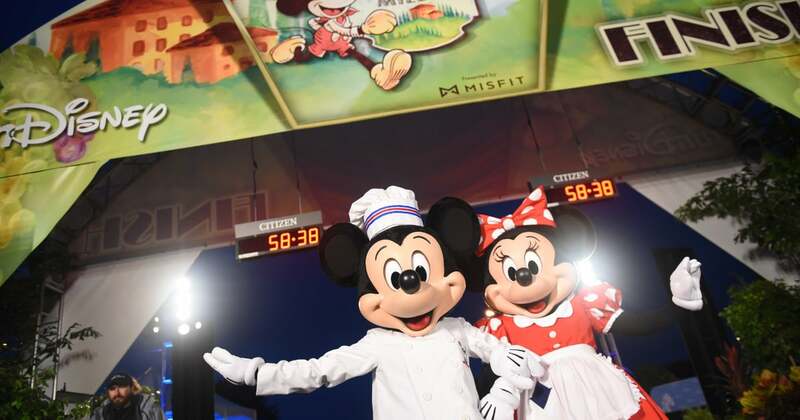 One of the biggest draws to this event, aside from the fact that it’s at Disney World, is the post-race Wine & Dine party, with delicious cuisine from all over the world, hosted at Epcot. Half marathon and challenge runners — those who dare to run both the 10K and the half marathon back-to-back in what is aptly titled the “Two Course” challenge — get into the post-race party as part of their registration (read: complimentary). If a 5K or 10K is more your speed, you can grab a ticket to this party. We’d highly recommend that. Each year, Disney also creates special treats for race weekend, including some adult beverages (Remember the glitter beer from Princess weekend?). We’ll update you once we get the scoop on what this year’s Wine & Dine has to offer. The races take place Halloween weekend: Oct. 31-Nov. 3. You have your choice of a 5K ($85), 10K (sold out), Half Marathon ($205), Two Course Challenge ($347), and kids’ race ($20). The post-race party is included in half marathon/challenge pricing; it’s $85 for everyone else! Bibs do not include park tickets. If you want to raise money via this race, you can do so with the National Down Syndrome Society. You can bypass buying a bib through raising money for this organization, but space is limited. Disney donates a portion of the proceeds from this event to a local food bank in Central Florida.